LEXINGTON, Ky. (Sept. 7, 2017) — The University of Kentucky College of Law began a new chapter with a ceremonial groundbreaking this morning on Mandrell Hall's front lawn, across the street from the Law Building, now undergoing construction. UK President Eli Capilouto and UK Law Dean David A. Brennen were joined by students, faculty, staff, donors and alumni in unveiling details of the $56 million building renovation and expansion project. The expansion and renovation of the College of Law is part of UK's overall capital improvement plan. 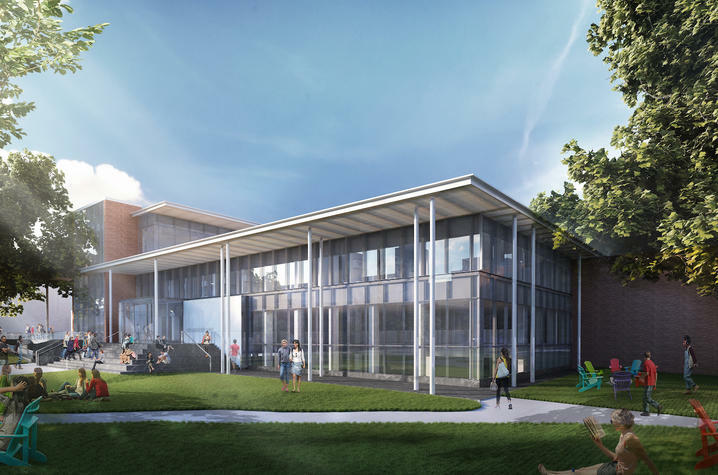 The project will significantly update and enhance a building originally constructed in 1965, providing students, staff and faculty with a new, state-of-the-art facility for learning, teaching and research. 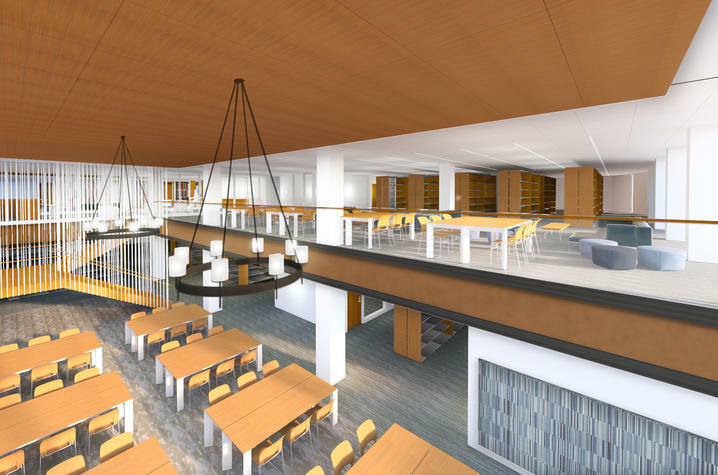 Plans call for an increase in educational space, as well as high-tech enhancements to classrooms and study spaces for law students. The footprint of the college will expand by 26 percent to 122,513 square feet. A new main entrance with a porch facing Memorial Hall, improving the gateway to the university. 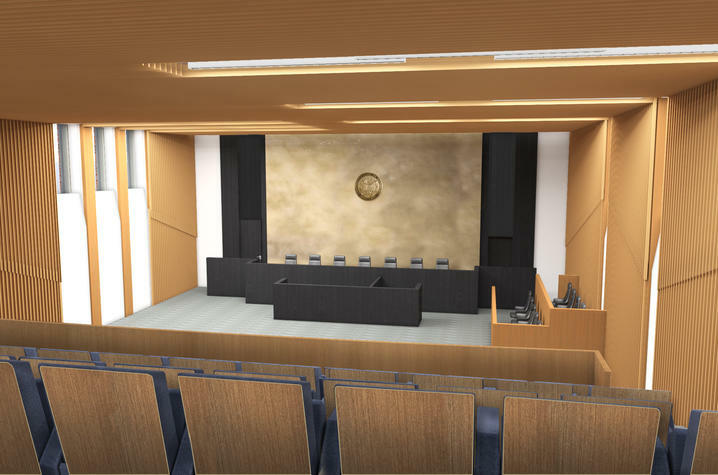 A modernized 185-seat moot courtroom designed for oral argument training, live appellate court proceedings, large lectures and conferences. A new small moot courtroom for litigation training that can also be used as a classroom. 11 new classrooms, including four 25-seat classrooms; four 80-seat classrooms; and three 50-seat classrooms. More than 20 collaborative study or breakout rooms. An outdoor gathering space which will serve as a gathering place for students, faculty and staff to engage on nice weather days. A new third floor with three classrooms convertible into one large multipurpose room, able to accommodate from 150 - 400 people. The space will also open onto a roof terrace offering spectacular views of Memorial Hall and campus. The architects for the building project are Kohn Pedersen Fox Associates of NYC and Sherman Carter Barnhart of Lexington. The construction manager for the project is Congleton-Hacker Company of Lexington. Construction on the law building began in mid-July. The timetable calls for completion of the project by fall 2019. To stay informed about the latest news or to watch the first building video update, visit www.law.uky.edu/raisingthebar.